Note: Click on the map icons to view photos and course profiles. 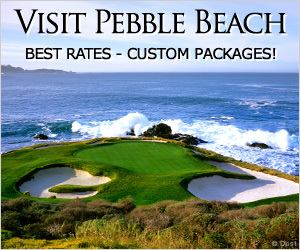 The Monterey Peninsula is a world-renowned golf destination, offering the most dramatic, natural settings for golf anywhere in the world. This breathtaking region host more world-class golf courses than any other, with a beautiful year-round climate. Use the interactive map below to view photos and obtain detailed information for every Monterey golf course.